Say hello to Oscar's baby brother, Ralph! He's mischievous and clumsy because he broke his glasses but he's got a lot of love for his little teddy, Alph! 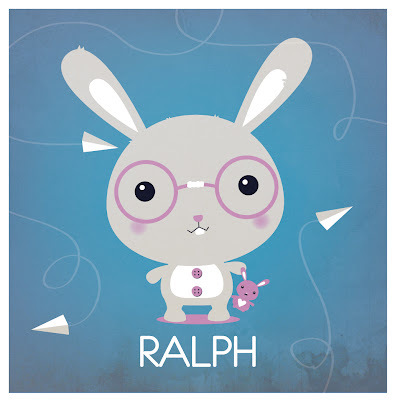 oh i realy love this.such a simple yet cute illustration! Thanks Mary Ann! :) I love your banner, rilakkuma is the best!